Steel frame building with concrete floors, 3 sections. 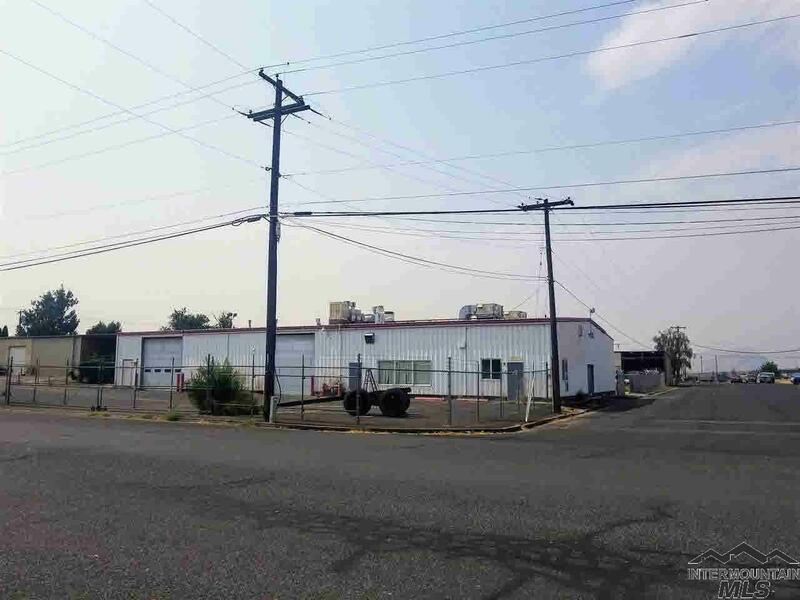 Large Shop on North side (47x70) has private office space (18x18) w/an exterior access door, 2 bathrooms and 16 ft overhead door. Middle section is a paint booth with ventilation system. 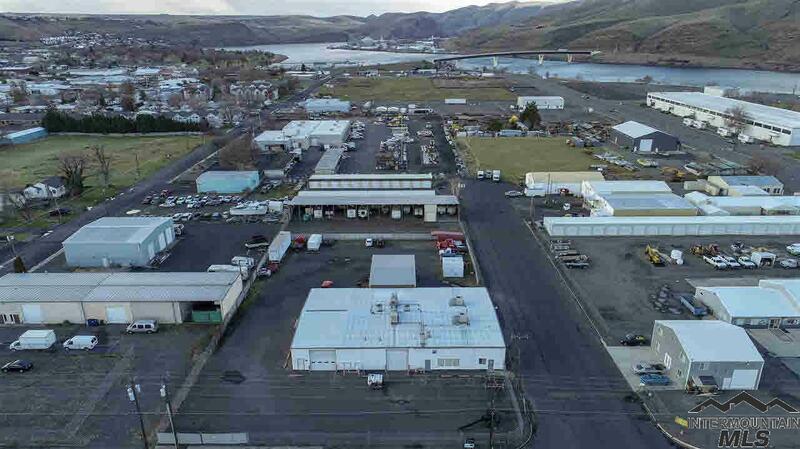 South side is large open warehouse/shop space with overhead doors on both sides (44x70). 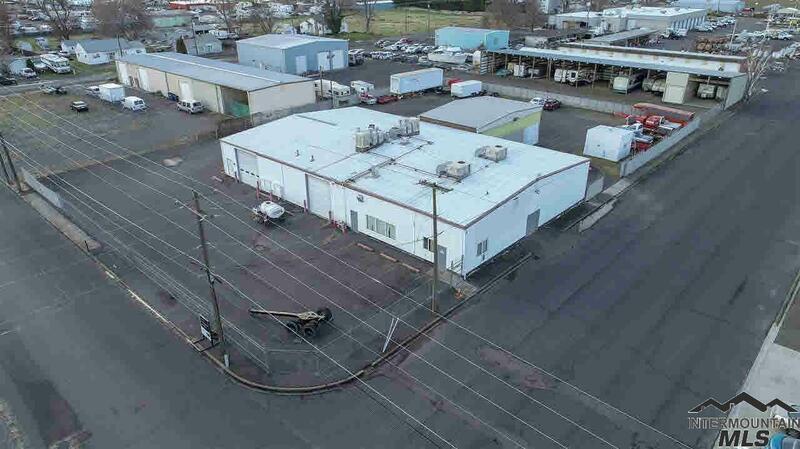 Additional 30x50 shop attached to the west. It's not insulated & has a gravel floor. 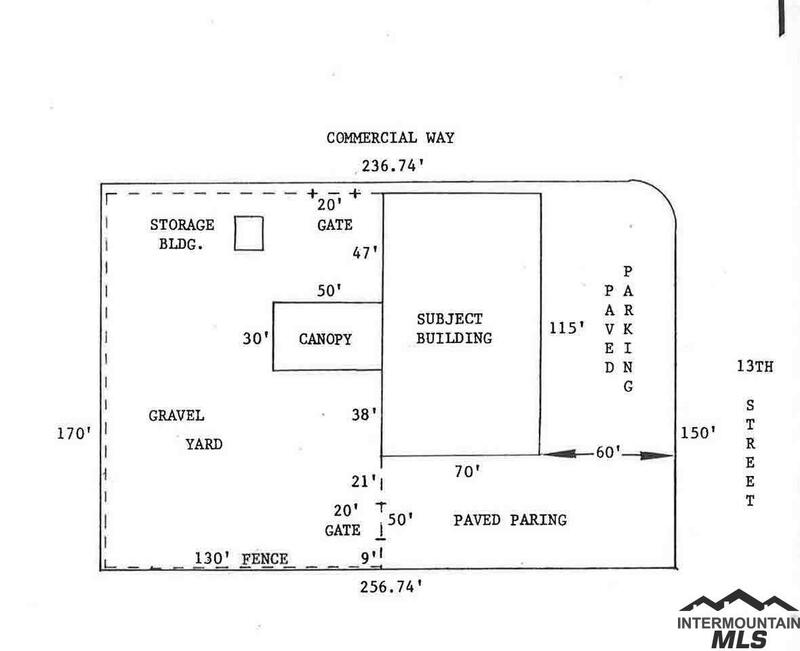 Lot is security fenced and partial paved. Zoned for manufacturing, processing & distributing.